March 24 (Analyst Ratings Network) Turquoise Hill Resources (NYSE:TRQ) released its earnings data on Tuesday. The company reported $0.06 earnings per share (EPS) for the quarter, meeting the consensus estimate of $0.06, Analyst Ratings Net reports. The company had revenue of $634.10 million for the quarter, compared to the consensus estimate of $613.00 million. During the same quarter in the previous year, the company posted $0.10 earnings per share. The company's revenue for the quarter was up 1128.9% on a year-over-year basis. Shares of Turquoise Hill Resources (NYSE:TRQ) traded up 3.70% on Tuesday, hitting $3.08. The stock had a trading volume of 3,866,887 shares. Turquoise Hill Resources has a 1-year low of $2.65 and a 1-year high of $4.11. The stock has a 50-day moving average of $3. and a 200-day moving average of $3.. The company has a market cap of $6.20 billion and a P/E ratio of 106.21. March 24 (Bloomberg) -- Mongolian Mining Corp. posts loss of $282.8m in 2014, including impairment of $190m on mining rights, according to statement today. March 24 (GoGo Mongolia) Minister of State M.Enkhsaikhan received H.E. Wang Xiaolong, Ambassador of China to Mongolia. During the meeting the sides have talked about Tavan Tolgoi project, Silk Road project to connect Asia and Europe, Steppe Road project and briefed on other joint projects. Ambassador Wang Xiaolong have confirmed during the meeting that the Chinese side is actively studying the project proposals submitted by Mongolian side and is to come up with their responses soon and start the cooperation. Moreover he expressed his hopes for trilateral cooperation of Russian Federation, Republic of China and Mongolia on not less important projects such as Silk Road and Steppe Road and emphasized on the importance of negotiations on implementation of these projects prior to trilateral meeting to be held in July in Russian Federation. March 24 (gogo.mn) Deputy Speaker of State Great Khural, MPP Leader M.Enkhbold has said in one of his interviews that according to the latest information received the Tavan Tolgoi negotiations have been postponed for two months and he confirmed that this information was given at the MPP group session briefing. In view of this statement Minister of State and Tavan Tolgoi Project Leader M.Enkhsaikhan clarified that no official announcements have been made that the negotiations have been postponed for two months. While two weeks earlier he said in one of the interviews that the negotiations have been paused due to the issues of Chalko debt. March 24 (infomongolia.com) At the regular Cabinet meeting held on March 23, 2015, it was decided to urge the implementation of Ovoot Project. The Ovoot Project was added in the List of State Property Concessions under No.53, which was first approved by the Cabinet Resolution No.317 in 2013. Accordingly, Minister of Industry, Mr. D.Erdenebat and Chairman of Invest Mongolia Agency S.Javkhlanbaatar were authorized to organize on establishing direct contracts in accordance with appropriate regulations and legal frames. March 25 -- Tian Poh Resources Limited (ASX:TPO) is pleased to announce the commencement of a drilling program as part of ongoing exploration activities in Mongolia. · License area 14768X, a total of 700 meters of HQ diamond drilling, 2-3 drill holes ranging in depth from 300 to 400 metres. · License area 14767X, a total of 600 meters of HQ diamond drilling, 2-3 drill holes ranging in depths to 300 metres. · A total of 700 meters of HQ diamond drilling, 2-3 drill holes ranging in depth from 300 to 400 metres. 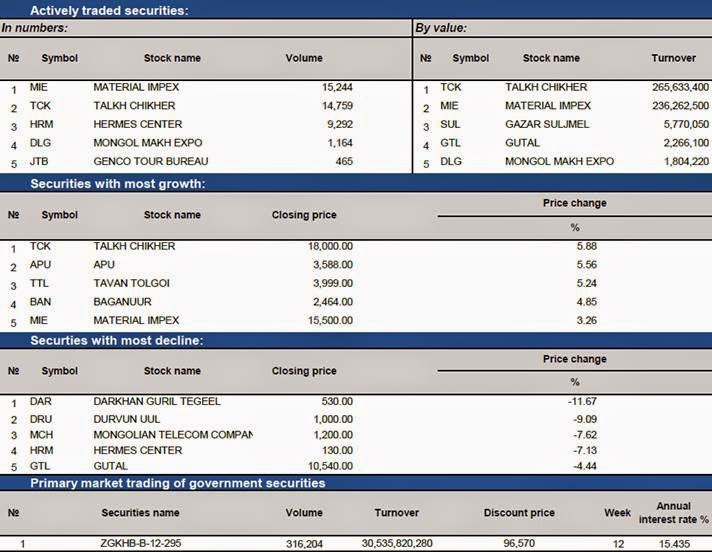 Ulaanbaatar, March 23 (MONTSAME) At the Stock Exchange trades on Monday, a total of 35 thousand and 377 units of 17 JSCs were traded costing MNT 24 million 758 thousand and 673.00. "Khovsgol khuns" /28 thousand and 241 units/, "Moninjbar" /1,950 units/, "APU" /1,777 units/, "Mongol makh expo" /1,120 units/ and "E-trans logistics" /1,004 units/ were the most actively traded in terms of trading volume, in terms of trading value were "Khovsgol khuns" (MNT 14 million 120 thousand and 500), "APU" (MNT six million 039 thousand and 700), "Mongol makh expo" (MNT one million 736 thousand and 500), "Khosog trade" (MNT 967 thousand and 400) and "Shivee ovoo" (MNT441 thousand and 800). The total market capitalization was set at MNT one trillion 307 billion 986 million 968 thousand and 002. The Index of Top-20 JSCs was 13,112.06, decreasing 1.53% and the all index of MSE was 957.37, decreasing 0.92% against the previous day. 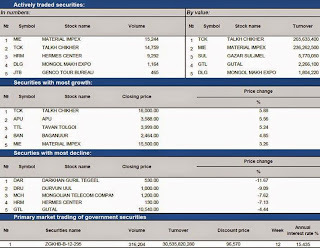 March 24 (MSE) On 24 March 2015, 12 weeks Government retail bonds worth MNT31,620,400,000.00 with 15.435% annual interest rate traded successfully on primary market at Mongolian Stock Exchange. 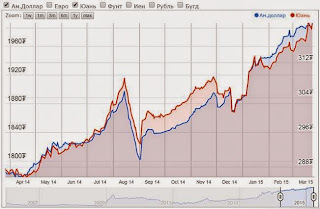 March 24 (MSE) Mongolian stock exchange has been introduced international capital market structure of "Market Makers" from 16 February 2015. On 24 March 2015, MSE's member securities company "Monsec" LLC received the ratification as "Market maker" and signed the agreement with MSE. On the other hand, the ratification as "Market maker" of "Capital Market Corporation" LLC were voided due to failed to follow duties that stated on the agreement with MSE, in accordance with the Order No. :94 of CEO of MSE dated on 21 March 2015. March 24 (MSE) Japanese International Cooperation Agency (JICA) and Financial Regulatory Commission (FRC) were signed the cooperation project to develop capital market of Mongolia in December 2014. Scope of this project, improve the legal environment of regulatory, establishing favorable environment for investment in capital market by enhancing capital market knowledge of residents, encouraging operation of market participants and implementing achievement and experience of Japan. On 23 March 2015, Angar.D, CEO of MSE received project team of JICA. During the meeting, both parties discussed and exchanged views about capital market of Mongolia, operational and work plan of project in near future. March 24 (Bloomberg) -- Mongolia's GDP growth is forecast to slow to 3% in 2015 from 7.8% last year, according to press release issued on Monday by the Asian Development Bank. * ADB issues statement at press conference in Ulaanbaatar to accompany the Asian Development Outlook 2015 report announced today. March 24 (Bank of Mongolia) On the Foreign Exchange Auction held on March 24th, 2015 the BOM has received bid offers of USD 19.0 million in a rate between MNT 1986.61-1993.32 and CNY 48.0 million in a rate of MNT 319.90-321.06 from local commercial banks. BOM has sold USD 6.5 million in a rate of 1990.55 and CNY 48.0 million with rate of 319.90. On March 24th, 2015, The BOM has received MNT Swap agreement bid offer in equivalent to USD 5.2 and USD Swap agreement bid offer of USD 85.0 million from local commercial banks and accepted the offer. HONG KONG, March 23 (IFR) - Mongolia will struggle to repay its debts in the next three years, analysts and investors have warned, if it is unable to reverse a drop in economic growth. Despite the country's vast reserves of gold, copper and coal, weak commodity prices have weighed heavily on Mongolia's finances. GDP growth of 7.8% in 2014 is still outpacing many of its regional neighbours, but it is down substantially from earlier years. Growth fell to 11.3% in 2013 from 17.5% in 2011 (Mogi: has been adjusted to 17.3%), according to the World Bank. Weaker revenue from mining has significantly harmed the government's finances. One of the most glaring examples is in its external liquidity resources, which fell to just over US$1bn this January from US$4bn in January 2013, according to Fitch. Mongolia has become more reliant on a bilateral swap agreement with China. The People's Bank of China had previously capped this agreement to Rmb10bn (US$1.6bn), but, in July 2014, this was ratcheted up to Rmb15bn. The Mongolian Government has US$1bn of sovereign bonds due in January 2018 (Mogi: $580m DBM bonds are due in mid-2017, $500m sovereign could be Jan 2018) and, in 2017, it will have to repay some of its swap agreements with China. It has also not helped matters that the local currency, the tugrik, has lost 42% of its value against the US dollar in the last two years. Analysts believe that there is sufficient time to resolve these problems and that much of these obligations can probably be refinanced. However, the worry is that the situation could worsen before it improves and, as such, Mongolia could struggle to repay debt and face a ratings downgrade. Both will make refinancing more complicated and expensive. "Mongolia's B2 rating suggests that a default is not imminent," said Anushka Shah, an analyst at Moody's, which cut its sovereign rating from B1 last July. "However, the rating is considered speculative and is subject to high credit risk. "The government has a window to resolve these vulnerabilities, but, as time goes by, the window closes. Large repayments are due in 2017 and 2018, and that time horizon is not that far away." The government has also given mixed signals over foreign ownership rights in certain industries. In particular, disputes over the vast Oyu Tolgoi mining project, a joint venture between Mongolia and Rio Tinto , have spooked foreign direct investors. This uncertainty has rattled FDI, which fell 81% year on year, according to the country's central bank. The dispute over Oyu Tolgoi has been going on since 2012 and, while observers believe an agreement will eventually be reached, they say some sort of deal is needed soon. "Activity has certainly slowed," said a Hong Kong-based foreign investor. "There are fewer expats there and less money. There are good-quality companies there, but nothing is really insulated from mining. "It's also pretty clear to everyone there that the government spends on programmes that don't have much economic impact on the ground. The government's inability to finance those projects is stressing the economy. Then, the concerns over Rio Tinto are there, and investors ask themselves if Rio can't win an argument there, what chance do I have?" March 23 (gogo.mn) We are delivering interview with economist B.Dulguun, who became acknowledges with his works of translations of books such as The Audacity of Hope by Barack Obama, Hot, Flat and Crowded by Thomas Friedman, Energy Autonomy by Hermann and The One Hour of China. This time we talked about Chinese economy. -How do you see current economic situation of Mongolia? -It is very important to secure the sustainability of the economic development. For that it is not enough just to study domestic environment, we have to study our external environment as well and this should start with China. For the economic situation we need to look at five basic indicators. First, Statistics report. These reveal unemployment, inflation indices. Second, External trade report from the customs. This report will tell how much we have imported and exported. Third, report from the Ministry of Finance, it tells us how much was the budget income and expenditure, which help us to determine whether there is deficiency or surplus. Fourth, report from Bank of Mongolia, which reports on money supply, total bank loans, non-performing loans, in other words will give one a very definite picture of the total money flow on the market. Fifth, tax report. This report will define which sector is having most income, how much taxes mining industry accumulates and so on. -What will be the results of studying these data? -Constant analysis of these will help to see the picture and will aid in forecasting the short term trends. For long term Mongolia definitely needs to have state policy based on those analysis. Any given country does the external environment analysis in order to do the long term development policy. For us it will be the studies and analysis of Russia and China. Third neighbors are as well need to be studied. I believe China has much more impact on our economy. We should not be exporting raw materials to China just for the sake of increasing exports. We have to export value added products. As I see we have greater potential on the Chinese market. For last four years of doing analysis on Chinese market I have done studies on the products Mongolia can be supplying to China. -Studies on China gained in understanding of which advantages Mongolia can have. Could you mention some of the results? -There are many opportunities as well as the risks that might become a disadvantage if not cared enough. For instance, let's take on the manufacture sector, which itself creates a lot of jobs. Former World Bank advisor emphasized that the 83 million jobs will move to another countries in the coming 15 years. During 1980- 2000 China prevailed at the manufacturing of the clothing and toys, which itself do not require any technological advancements and therefore do not require much funds. Nowadays, Chinese manufactures are turning more to technology and are producing smart devices, solar panels, which in turn advance Chinese workers skills and abilities, resulting in increased income as well. In this regard, the clothing manufactures are moving to Vietnam, Philippines, Mexico and so on. Out of this movement we can acquire only 150 thousand jobs, which will solve our unemployment. Although jobs will migrate from China, the demand for those clothes still remains. Chinese will still be wearing those clothes. One example, China opened shoe factory in Addis Ababa, Ethiopia, which employs over 600 Ethiopians. Many other factories and manufactures are relocating in Africa, India and Vietnam. One closing in China will lead to one opening in other countries. This trend will go on for several years. This is our chance. We need to establish manufactures that will have more value for us. Manufactures in Ethiopia have Chinese owners. For Mongolia it should be us to decide whether Mongolians will be owners. Even if those will have foreign owners it is important for Mongolian workers, as they will be provided with jobs. During this time of shifting of the work force it is crucial for us to establish several manufactures, which will lead to increase in exports to China with value added products. If we are not quick enough someone else will grab the opportunity. -What are the main reasons of job shifting? -In 2014 our GDP was at USD 4000, while in China the same number was at USD 7300. This indicates that China is richer than Mongolia. This also means that average wage in China is higher. Therefore economically it is profitable to move the factories to places with cheap work force. Other reason for job shifting related with the population of China. As of 2012 work force percentage reached its peak and is to gradually drop over the coming years. -Does it meant it is profitable for us to open factories in Mongolia due to increasing wages in China? -It has two sides. First, as the wages are increasing there is need to shift to markets with cheap labour. Secondly, middle class in China is expanding rapidly. We need to explore our advantages and establish manufactures on Mongolia targeting those middle class consumers. In past 30 years 300 million households have overcome poverty in China and shifted to middle class. Middle class is the powerhouse everywhere, with most of the purchases. According to the McKinsey report 54 percent of the total middle class lived in North America and Europe as of 2009 and this number will decrease to 21 percent by 2030, whereas the majority, 66 percent, is residing in Asia. Most of which will consist of Chinese middle class. For that forecasts we have to be ready to supply those middle class people with their clothing, toys, food and if possible with luxury items as well. If we are to export coal and copper even by 2030 it will indicate how incapable we are. We need to be sensitive what China is reducing n production and to what we can provide this huge market wth. -It could be services as well, besides products. In 2012 over 83 million Chinese residents have travelled abroad, of which 60 percent have been in foreign country for the first time. This fact only suggests we can develop our tourism. This number increased in 2014 to 98 million and have spent around USD 128 million. We can provide with quality tourist services only 1percent and that will equal to the exports of copper from Oyu Tolgoi. There are many opportunities, but we also have to take into account the risks. -How do you foresee the exports of coal and copper by 2030? -The reason why Mongolia exports copper, iron and coal to China in such big loads is the construction development in China. Coking coal is used in steel making. Many of the commodities are processed there and used in construction sector. Frankly saying, although many like to say that Mongolian economy is dependent on China, it is dependent only on factories located in the North of China only. There is no dependence from let's say Shanghai. According to the EuroMonitor report the construction development will reach its peak in 2024 and from that point it will decline. It is interesting how much will coal and copper cost by then. We have to be ready for that decline. -Just by being a neighbour to China does not mean we will have economic advantage. More depends on how we use this location. What policy should be implemented? -88 percent of the total Mongolian export goes to China. This shows how much dependent we are from this market. If China closes its borders our biggest currency flow will be blocked. Export is one of the main four sources of foreign currency. We have to make changes in two levels to get rid of the dependency. First, reduce the dependency of one country and diversify. In doing so, if we were exporting 88 percent of total exports to China, in next 5 years reduce it to 60 percent, after 10 years 30-40 percent and make those changes gradually. Secondly, we need to diversify our export products. 51 percent of the products we export to China is copper alone. Oil, coal and copper are main products of export and they are 80 percent of total exports to China only. Diversification of export products is the way to reduce the dependency of mineral resources. -When we say China it is already market with huge competition. But you are saying we have to use this market. -It is indeed has huge competition domestically. But we do have opportunities there. These are facts. Firstly, we have to produce and manufacture by ourselves. It is not helping much if we are to sit and see. Suppose we are looking as socks. May be we do not have advantage in socks, but we have to look at it differently, what kind of socks can we produce that will have winning features. It could be wool socks. We have raw materials and cheap labour. Intersection of these two with good management might become our power product. We have to learn to see our segment. -How about the trades with Russia? -90 percent of the imports from Russia is oil. But we are not exporting much in return. We are conducting trades with Russia with losses over USD 1 billion. If we reduce this gap our trade balance will have surplus. Russian import taxes may be high, but they have stopped imports from Europe. According to the estimates it equals to USD 9 billion. This gap is now being filled by other countries. Imports from Brazil, Chile and Argentina have increased as a result. We are right beside them and we are not prepared at all. But Russia has approved of our meat exports. This is the beginning. -Are there any other markets? -Japan. We have spent USD 367 million just on imports of second hand cars and car parts in 2014 alone. While our exports equal to only USD 24 million. I hope this situation will change. Currently one company imports break parts from Japan and exports back the assembled break. In China the same situation is with iPads and iPhones, parts are brought from Taiwan and Japan and are assembled in China. It is all about the percent of the added value. in 1980s for China it was 20 percent, while nowadays it reached 50 percent. Japanese GDP is USD 38,000. Mongolian GDP is 10 times lower. It could be much cheaper to assemble parts in Mongolia and export back to Japan, reducing the costs. -Japan and Russia have protected their domestic manufacturers with high import taxes. -We have signed the EPA with Japan and in scope of this agreement we are to sign trade agreement as well. The agreement provisioned that Mongolia and Japan to reduce the import taxes for 5700 types of product for Japan and 9300 types of prodcuts for Mongolia. Out of those 825 products from Japan and 60 products from Mongolia are to be tax free from the day the agreement will be in effect. I wish our businesses would go through the list and plan their activities. Because those prodcuts will be imported and exported without taxes. We need to utilize those opportunities right away. We can develop manufactures with exports in our minds. -It seems we can talk endlessly on how to improve the economy. Our main problem is implementation. -Indeed. It is important that government will make it clear to the manufacturers and young entrepreneurs how the state can help them to lessen the burden. As of now we are lacking the fundamental research and analysis. Our businesses lack any proper information, besides having poor structural and management issues. We need to learn the experiences of other successful exporting countries. -Do we lack export policy? -Yes we do. We only have Foreign Investment Agency. We need to establish agency responsible for the exports as well. 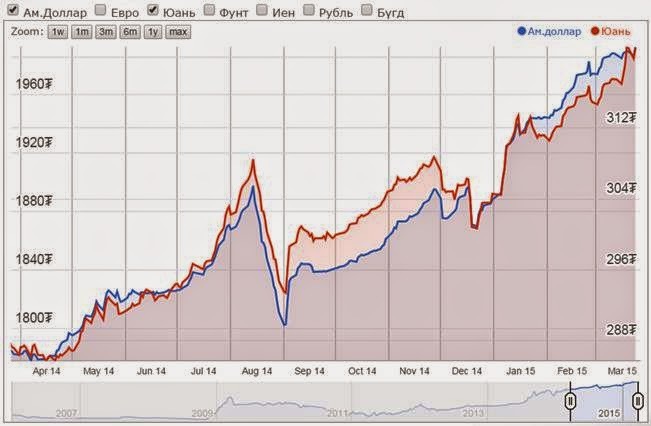 It is impossible for instance for GOBI to study European market by themselves as it bears high costs. Instead exporting companies could establish joint research and analysis institution, where the results can be shared. Our Business Development Association is working on this. -As the spring approaches the construction sector is to revive its activities. Housing prices are high and it is explained with high imports. You have done research on this sector. -Construction sector is very competitive and involves wide variety of materials to be used. For instance, cement, Mongolian construction companies have imported 4.2 million tons of it in last three years, worth of USD 300 million. Only three big Chinese cement factories are comprising 70 percent of Mongolian cement imports. Over 3000 entities and individuals are importing cement into Mongolia. If our entities importing cement can join its forces, we have the full potential to reduce the price per ton. There are too many small entities importing cement, while there are only three supplliers. Therefore it is much profitable to unite and do negotiations as one. On the other hand, there are many cement factories are opening in Mongolia, securing the cement prices at stable point. March 23 (Bloomberg) -- Mongolia asked China for $827.6 million to build a hydroelectric plant and dam, the largest such project in a country reliant on coal and Russian energy to power its burgeoning mines. The loan for the planned 315-megawatt facility on the Eg River, part of the Egiin Gol Hydropower Plant Project, may be approved by year-end, EGHPP Director Odkhuu Durzee said Monday. Mongolia's rapid shift away from nomadic herding toward mining has swelled urban populations, straining the nation's energy provision. While Soviet-era coal-fired plants provide most of the country's power, the government is seeking to diversify resources and stem emissions by adding renewables. The dam would help the government trim payments to Russia, which earns about $24 million a year exporting energy to Mongolia, according to Odkhuu. Mongolia's 700-megawatt generation capacity falls short of demand by about 200 megawatts in winter, he said. The financing from Export-Import Bank of China would make up the majority of a proposed $1 billion concession loan from China, Odkhuu said. The remaining $172.4 million would be spent on a highway from Ulaanbaatar to the new international airport. Mongolia is seeking a 2 percent interest rate and a grace period of five to nine years, with repayment over 20 to 25 years, Odkhuu said. In addition to the China loan, Mongolia may get financing from other sources, he said, declining to elaborate. The idea of damming the Eg River in northern Mongolia dates back to 1964 when Russian scientists first researched the possibility. Further studies were conducted intermittently from 1991 to 2013 when Mongolia's Ministry of Energy formally approved the establishment of the EGHPP. Tractebel Engineering SA, a subsidiary of France's GDF Suez SA, was contracted last year to update the feasibility study, which showed "everything is bankable and feasible," Odkhuu said. Preliminary work, including roads and transmission lines, will start this year and dam construction in 2016, he said. The cost of production from the EGHPP will be 1.4 cents a kilowatt-hour. Every year the plant will save 200,000 metric tons of coal and 709,000 tons of carbon dioxide, according to the company's prospectus. Mongolia, which opened its first wind park in 2013, seeks to get 20 percent of its energy from renewable sources by 2020, compared with about 7 percent now. Ulaanbaatar, March 23 (MONTSAME) A meeting of the main auditory bodies of Mongolia and the Russian Federation is being held March 21-25 at the Mongolian National Audit Office and the Ministry of Foreign Affairs. Discussed by the meeting are the results of audits on Erdenet Mining Corporation's activities, issuance of 2015 auditory plans for "Ulaanbaatar Railways" joint venture and the outcomes of Government administration over the borderland environment preservation. The meeting will verify and ink the joint auditory report by the Mongolian National Audit Office and the Accounts Chamber of Russia on the net profit clearance of EMC, the plan and program of the intended audits on the UB Railways' net profit clearance, and the use of capital and financial reserves, also to be conducted by the main audit offices of Mongolia and Russia. The signing ceremony will take place Tuesday at "Mutriin Tushee" hall of the Ministry of Foreign Affairs. Ulaanbaatar, March 24 (MONTSAME) On March 23, the Minister of Finance J.Erdenebat received a president of the European Bank for Reconstruction and Development Mr Sir Suma Chakrabarti, who is on a working visit here. The Minister thanked Mr Chakrabarti for paying the visit and noted that the direct cooperation with the small and medium enterprises of Mongolia without any government management is serving in alleviating a burden on the state budget and "is providing our economic entities with an access to the international market". The EBRD's "Local Currency Financing" initiative helps reduce the foreign exchange rate risks impacting on the economy, he said and noted that Leasing Policy Initiative also serves in the renovation of technologies in our agricultural sphere. In response, the EBRD president said he was happy to pay his second visit here, "now with wider delegation". Since 2006 the EBRD had invested 1.3 billion US dollars in the private entities, of which 150 million was allocated for 15 projects in 2014, he said and expressed an interest in cooperating in Oyu Tolgoi and Tavan Tolgoi projects. The sides also touched upon matters of the newly adopted laws and regulations such as the Law on Budget Clarification, Law on Debt Management, Law on Glass Account, as well as difficulties in Mongolia's economy, their solutions, possibilities of cooperation. March 23 (news.mn) Member of Parliament S.Byambatsogt has sent a questionnaire to voters in connection to a draft regarding the debt forgiveness law and presented the survey results to Minister of Justice D.Dorligzav and Minister of Finance J.Erdenebat. The key issue in the questionnaire focused on what MP S.Byambatsogt sees as the present draft law's failure to reflect the rights of the companies which have fairly submitted their reports but are subjected to controversial audits, which has been a concern for companies and enterprises and those who worry about companies failing to report their taxable income. The MP says that Article 4.5 of the draft law states that enterprises which have hidden taxable income are still eligible to be excused from debt in certain cases. Those looking to amend the draft say that it should be noted that it is wrong for companies and enterprises which have delivered tax reports to the tax authority on time, and who have been audited to be excluded from consideration for the debt forgiveness law. MP S.Byambatsogt is calling for the issue to be reconciled, and suggests that the first priority in debt forgiveness should be granted to enterprises that have been unfairly audited and imposed with tax penalties. The present Law on Debt Forgiveness and a draft law to provide economic transparency were submitted for approval to the government before the end of the spring session of Parliament. Businesses are eager for a final decision on the new regulations and policy concerning debt and the reporting of finances. Minister of Finance J.Erdenebat, in a meeting with journalists last Thursday, stressed that the taxation revenue as of the first two months of the new year, in comparison to the same period of the previous year, saw a 30 percent decline. Ulaanbaatar, March 24 (MONTSAME) The Minister of Mining R.Jigjid reported Monday to the cabinet members on the results of the mining licenses' bids, intensification of gold mining and the implementations of amendments to the Law on Prohibiting Mineral Exploration and Extraction Near Water sources, Protected areas and Forests. In accordance with the regulation about issuing mining licenses for 106 sites on-hold with cancelled permits due to court decisions, a total of six bids had been organized. As a result, the licenses for 29 sites' operations have been issued, of which 24 have been obtained by the previous permit-holders and five sites have had new operating companies. Proposals have not satisfied the requirements for eight sites. Next bid was released on March 3 for 13 mine sites, and will be concluded on April 2, he said. A working group in charge of the implementation of government resolution on intensifying the economy through increased gold mining has settled principal matters with the Bank of Mongolia on the required financing for the gold mining intensification. A working group established in relation to the new amendments to the observance regulation of the Law on Prohibiting Mineral Exploration and Extraction near Water sources, Protected areas and Forests has developed the drafts of observance regulations and related to them agreements. The group submitted these drafts to the Ministries for their reviews. Ulaanbaatar, March 24 (MONTSAME) The cabinet approved Monday the draft concept of the draft new wording of the law on small and medium enterprises (SME) and told the Minister of Industry D.Erdenebat to complete a development of the draft new wording and submit to the cabinet for discussion. During the development of the draft concept, such matters were taken into account as a legal background, social expectations and practical demands that would expand a scope of the SMEs' activities, specify the classifications of the enterprises, refine the regulations bylaw, improve the efficiency of the law implementation. The new wording of the law will be developed by reflecting changes in some articles and amendments. They offer that the Cabinet member in charge of the matters regarding the SME is to issue the regulation concerning the credit allocations from the Promotion Fund for the SMEs, and the Fund's annual financial schedule, taking into consideration all the priorities of the economic sphere and location map of the anticipated project/factory. Ulaanbaatar, March 23 (MONTSAME) The Chairman of the State Great Khural Z.Enkhbold got acquainted with the activities of Sankou Tech Mongolia and Sankou Solar Mongolia companies, which produce clean energy products on March 22. Sankou Solar Mongolia, which started its production in March of 2011, has satisfied ISO9001 and TUV Rheinland JAPAN for its solar screens that are now being exported to Japan and Russia. The company also produces lighting for family and street uses. Total export of the company has reached 7.5 mW energy or some 31 thousand solar screens. The company supplied the domestic market with 110 kW solar energy systems. As for Sankou Tech Mongolia Company, it is based on 100-percent investment by Shimizu Takashi, a citizen of Japan. The company started its operations in Mongolia in February of 2005 to produce aluminum details and spare parts for robotic machines. It has supplied 104 range of parts ordered from Japan, so far. The company manufactures over 58 thousand products, and make exports equivalent to over one billion MNT. Executive director of the Group Shimizu Norimasa talked about the difficulties in their operations. There are many difficulties, such as high interest in bank loans, inadequate taxation services, lack of single-window system for foreign investors, electricity malfunctions and outage during the hi-tech production, he said. In response, the Speaker promised to focus on improving the single-window and taxation services, and obligated the Ministry of Energy to manage the electricity malfunctions. Mr Shimizu Takashi thanked the Speaker for his time during the weekend and expressed a satisfaction with cooperating with Mongolia," a strong country that has great potentials in the future". Accompanying the Speaker were the Vice Minister of Energy O.Purevbaatar, the Vice Minister of Industry Kh.Badelkhan, and advisor to the Speaker Ts.Buyantsogtoo. Ulaanbaatar, March 24 (MONTSAME) At its regular meeting on March 23, the cabinet of Ministers discussed a concept of the state policy on Food and Agriculture, and obligated the Minister of Justice B.Dorligjav and the Minister of Food and Agriculture R.Burmaa to issue the document with suggestions of the cabinet. The food and agriculture sector produces 12.2 percent of the country's GDP, hosts 30 percent of workplaces. A new version of the state policy on this sector has been developed in relation to the conclusion of the previous policy for 2003-2015. The state policy will be implemented in two phases, based on many types of factors such as geographic characteristics of Mongolia, eco system, domestic and global market, development perspectives of infrastructure and technologies, coordination between the sectors and others. March 23 (gogo.mn) Wedding Palace was removed from the privatization list. City Council meeting has discussed the list of the city property and entities to be privatized due to the losses occurred. The list was finalized and approved on March 23 after the second discussion. The 24th regular meeting has attendance of 75% out of 45 members. Thus, privatization of Wedding Palace is not welcomed by many and will not be privatized. Ulaanbaatar, March 24 (MONTSAME) The cabinet meeting on Monday backed in principle a parliamentary draft resolution on approving a national program, initiated by the President Ts.Elbegdorj on combating corruption and strengthening justice. Proposals reflected in the minutes of the cabinet meeting will be conveyed to the draft initiator. The draft resolution has been worked out with aims to fight against corruption by preventing a bribery in politics, private sector, civil society and political groups, by creating/forming a just in the public and developing a transparent and responsible society. The national program also has some objectives to improve the transparency, responsibilities, justice and ethics of the public service, judicial bodies and law enforcement organizations, to ensure openness of state services, to upgrade the monitoring and responsibilities of actions of finance, audit and procurement, to reduce corruption risks at the private sector, to support ensuring of competitiveness and justice, to back a role of civil society organizations, to develop free media, to fortify the international collaboration in anti-corruption education, and to improve the legal environment. March 24 (gogo.mn) 11th ASEM meeting is set to be organized in July 2016 in Ulaanbaatar city. ASEM 2016 will be by far the largest diplomatic gathering in Mongolia's history with over 5000 guests including leaders, government officials, international agencies and media of 51 countries attending the event. The Asia-Europe Meeting (ASEM) is an informal process of dialogue and cooperation bringing together the 28 European Union member states, 2 other European countries, and the European Union with 21 Asian countries and the ASEAN Secretariat. The ASEM dialogue addresses political, economic and cultural issues, with the objective of strengthening the relationship between our two regions, in a spirit of mutual respect and equal partnership. National Council organizing the event is led by the Prime Minister Ch.Saikhanbileg and today the council held its plenary discussion on the organizational matters with its sub-working group. Session of the National Council was held at the Shangri-La Hotel and the briefings of the sub-working groups liable for Accommodation and Logistics and Communication has been done. Pressing issues were ordered by the PM to be submitted to the cabinet session to the leaders of working groups. 2014 ASEM event was hosted by Milan, Italy and the leaders and officials of the 53 countries have attended the meeting totaling to over 5000 participants. March 23 (Hogan Lovells) On 18 February 2015, the last day of its autumn session, the Parliament of Mongolia ("Parliament") adopted a number of new laws and important amendments to existing laws that will affect the investment framework and the Mongolian economy in general. In particular, two pieces of important legislation in relation to the minerals sector, namely laws amending the Minerals Law and the Law on Implementing the Law on the Prohibition of Exploration and Mining in Headwaters of Rivers, Protected Water Basins Zones and Forested Areas, also known as the "Law with the Long Name" ("Implementation Law") were adopted on this day. The official versions of the new laws and resolutions are now publicly available, and we set out below a summary of those amendments which we consider most relevant. In order to provide more flexibility in relation to mineral deposits of strategic importance, the Government of Mongolia ("Government") submitted the Law on Amending the Minerals Law for approval by Parliament on 5 February 2015. Previously, the Minerals Law provided that the state was entitled to an equity interest in a mineral deposit of strategic importance of between 34 to 50 per cent depending on variables such as the source of funds, the amount of investment made and the amount of reserves, and subject to Parliamentary approval. Although the amendment is rather brief with only three articles, it addresses an important issue concerning the utilisation of mineral deposits of strategic importance by introducing the concept of a special enhanced royalty for mineral deposits of strategic importance. It provides an option for the Government either to exercise its right to either take an equity interest in such deposits or to impose a special royalty in lieu of such interest. The amendment allows the state's equity interest in a mineral deposit of strategic importance to be transferred to the licence holder, and in return the licence holder will pay a special royalty to the state budget for the mineral deposit of strategic importance. The exact amount of royalty will vary depending on the specifics of the asset, but is capped at a maximum of 5 per cent in addition to other royalties payable under the Minerals Law and supplementary legislation. The amendment does not make any reference to the price or consideration payable for the transfer of the state's equity interest to a licence holder other than a swap of the equity interest for an increased royalty. In order to respond to concerns over environmental protection issues relating to the mining sector, in July 2009 Parliament adopted the Law on the Prohibition of Exploration and Mining in Headwaters of Rivers, Protected Water Basins Zones and Forested Areas ("Mining Prohibition Law") and the Implementation Law. Both laws are rather brief in terms of content, consisting of only 6 articles and 2 articles respectively, but they have had a profound effect on the mineral sector and the Mongolian economy in general. The Implementation Law provided for the revocation of licences where the subject areas overlap with those areas protected by the Mining Prohibition Law, namely those areas that are located within the boundary of headwaters of rivers, protected water basin zones and forested areas. Such revocation was to occur within five months of the date of the approval of the Implementation Law. According to Government statistics, the Implementation Law affected more than 1330 licences (mainly alluvial gold deposits) belonging to some 830 legal entities. The implementation of the Implementation Law was prolonged and hampered by several factors, including determination of the physical borders of the protected areas and the payment of due compensation to licence holders whose licences were affected. The amendment introduces two new articles and amends the existing two articles of the Implementation Law. The main change is that licence holders may continue their operations subject to undertaking a number of obligations in respect of the protection and restoration of the environment. 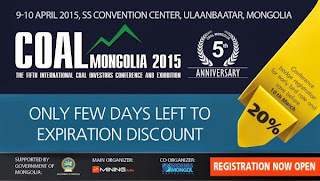 Specifically, the amendment provides that if a licence holder wishes to continue its operations, it should submit a request to the Mineral Resources Authority of Mongolia ("MRAM") within three months from the effective date of the Law on Amending the Implementation Law (16 March 2015) and also enter into an agreement with the Mongolian Ministry of Environment, Green Development and Tourism, the MRAM and the governor of the relevant aimag (province). If a mining licence holder does not submit such request and enter into the necessary agreement, the mining licence will be revoked and there will be no compensation payable to the licence holder. We note that this provision makes specific reference to "mining" rather than "exploration" licences. The amendment provides that the Government shall approve the procedures for the revocation of licences granted in the headwaters of rivers, and for the undertaking of certain measures, including the restoration of the environment in respect of licensed areas located in the "ordinary" protected zones of water basins where mining operations have already commenced. The Government will also approve the associated model agreements that licence holders must enter into. The amendment provides that the procedures and the agreement should include provisions concerning the deposit of funds equal to the cost of environmental protection and restoration for the project and the obligations and responsibilities of the government officials in charge of monitoring the same. The amendment also provides that if a mining licence holder does not restore the mining area (after the project is completed), the costs for restoring the area shall be payable by the licence holder taking into account the profits gained during the mining period. We note that the amendment restricts the application of the procedures and the agreement to be approved by the Government to "ordinary" protection zones rather than headwaters of rivers or other protected zones. This implies that licences granted in headwaters of rivers and other protected zones may still be revoked in accordance with the original provisions of the Implementation Law. "Ordinary" protection zones for water basins are determined as being 200 metres from the banks of such body of water. Further, the amendment provides that holders of mining licences in forested areas must comply with certain requirements under the Law on Forests. Some of these requirements include the planting of ten or more trees for every tree cut, payment of compensation for damage caused to forests and a prohibition on the cutting of young forests and fruit trees. We note that the requirements and procedures relating to exploration licences are rather vague in that the amendment provides that the matter shall be resolved in accordance with procedures specified in the Law on Forests and Law on Water. In light of the amendment, the Minerals Law has also been amended to state that a breach of the Implementation Law and/or the agreement entered into in accordance with the law shall constitute grounds for licence revocation. As mentioned earlier, Parliament approved several laws and resolutions including the approval of the Law on Debt Management, the law on the ratification of the Agreement between Japan and Mongolia for an Economic Partnership ("EPA") and a Resolution on Measures to Overcome Economic Difficulties. The Law on Debt Management aims to provide a comprehensive legislative framework for a state and local government debt management system. The law introduces a number of important definitions concerning government loans and debt-related issues and imposes certain criteria and procedures on the creation of debts and the issuance of government securities and guarantees, forward-lending of loans, registering, reporting and monitoring of debts which may be repaid from state or local government budgets. The EPA addresses a number of matters in relation to increasing trade between Japan and Mongolia and improving the investment framework. For example, the EPA proposes to eliminate and reduce customs duties for large number of goods, and addresses a number of issues such as e-commerce, intellectual property, competition issues which aim to promote and protect bilateral investments. The EPA is to become effective once the same is ratified by the Japanese Parliament. This is the first EPA Mongolia has entered into with another country. Finally, in light of the decline in foreign direct investment, foreign trade and foreign currency circulation, Parliament has also approved a resolution on Measures to Overcome Economic Difficulties. Over 60 measures have been identified to stabilise the macro economy and support economic growth for the next two years. Some of the key measures include the establishment of a budget stability fund, moving forward large-scale projects such as Oyu Tolgoi underground mine, Tavan Tolgoi Power Plant, Power Plant No.5 and certain railway projects, establishing investment funds with foreign banks and financial institutions, establishing a national re-insurance corporation, and undertaking measures to privatise certain state-owned enterprises. During its autumn session, Parliament approved several other important laws and resolutions in an effort to revive the economy. These include the approval of the new Law on Free Zones, the Law of the Registration of Legal Entities, the 2015 Budget Law and a resolution on Certain Measures to Implement the State Policy on Railway Transportation. Of the laws that were recently enacted, the amendments to the Minerals Law and the Implementation Law are of significant interest to investors in the mining sector. The introduction of a special royalty in place of the state's equity interest in mineral deposits of strategic importance is an interesting development that provides options to reduce the involvement of the state in mining operations while enabling the government to improve revenue generation. With regard to the amendment to the Implementation Law, it is certainly a positive development for investors whose operations have been halted since the adoption of the Law. The requirements with respect to the protection and restoration of the environment are commendable. However, although the amendment provides some clarity as to the scope of the Implementation Law, it also provides that the procedures and conditions for the revocation of licences and the continuation of licence holder operations will be determined by regulations to be approved by the Government at a later date. Therefore, the implementation of the amendment remains subject to regulations which are yet to be adopted in the context of a relatively tight statutory deadline. Berlin-Ulaanbaatar, March 24 (gogo.mn) There is no need to doubt the quality and value of any product that is labeled as 'Made in Germany'. German products, whether they are cars, equipment, medicine, or services, might have varying prices, but the one thing they have in common is that customer satisfaction is always guaranteed. Such quality is established and maintained through many factors including technology, material, and, most importantly, skills of German people. The high quality of skills is keeping Germany's unemployment rate at 6.0 percent and youth unemployment rate at 7.2 percent today. In comparison, the unemployment rate for those under 25 is 54 percent in Spain, 44 percent in Italy, and 24 percent in France as of 2014. The high quality of skills also allows almost every German made product to be sold on global market. It shows that German companies are able to compete internationally. Although those companies manufacture their products abroad, a certain percentage of products are always made domestically, the secret of which lies in the particular set of skills a German worker possesses. The manner Germans prepare their workforce is completely different than ours. In Germany, vocational education is provided by the government in cooperation with employers. Specialized universities offer classroom education and vocational trainings whereas employers provide on-the-job practice allowing the opportunity to work with their own equipment. The young students establish a contract with the employer that they will come and work for them after receiving trainings for 3-3.5 years and acquiring a professional license. The employer gives scholarship to the students during their school years. In Mongolia, vocation education is provided by public universities and private institutions while there is no involvement whatsoever from economic entities. The students start seeking employment only after they are graduated. When public universities are required to find jobs for their graduates, it reduces the sense of responsibility of young people. It means that a German hunter aims before shooting while a Mongolian one shoots at the sky and hopes the bullet finds its target. Mongolia's 76 vocational education and training schools are referred to as 'Vocational Training and Production Center (VTPC)'. One third of our VTPCs are private institutions and the rest are managed by the government. Also, 32 VTPCs are located in the capital city and the others are in the countryside. In 2014, the total number of VTPC students was around 42,000, 10,000 of which went to private institutions whereas the rest enrolled in public ones. One third of the total of 38,000 university/college graduates and 40 percent of the total of 18,000 VTPC graduates found a job in their first year after finishing school. Although thousands of young people with diplomas and certificates are added to the workforce every year, it is informed that Mongolia's unemployment rate is 34,000. Also, it is reported that approximately 9,000 expatriates come to work in Mongolia each year. However, around 30,000 Chinese and North Koreans have been working here. Employers value them saying that they get paid less than Mongolians do and have better skills and discipline. Germany has a special system where vocational education is provided by the cooperation between the government and the private sector. Every business is interested in turning their workplace into an environment where vocational training is practiced. Most businesses are small or medium enterprises and often are family businesses. Therefore, established companies pay special attention to their human resources and have a strong interest to foster skills from the beginning. One can complete the next stage of vocational education and become a master. A permit for business is only given to a master who has developed higher skills. Such permits are required because it is viewed that, if anyone can do any business they want, it will diminish the reputation of 'Made in Germany' brand. A loan for master's program is provided by a development bank partly owned by the government. If a loanee establishes a business, creates jobs, and provides employment after graduation, one third of the loan is waived. This is a good, targeted education system. Every business in Germany is required to be a member of a chamber, which gives all kinds of benefits. The chamber oversees the quality of vocation education offered by economic entities. As an outcome of this system that promotes vocational education and skills, the government involvement in business has been heavily reduced. It makes it implausible for government officials to do business and be in a situation where there is a conflict of interest. In recent years, there have been certain initiatives implemented to improve the skills of graduates from public and private vocational education institutions. Also, some attention is directed to the lack of full vocational training curriculum for middle aged people with no profession looking for jobs. It is viewed that creating jobs is the best way to fight poverty. It is a good foundation that a vocational education and training project based on partnership was commenced by Ministry of Labor with cooperation of the German government. Furthermore, initiatives for vocational training on areas such as electricity, construction, plumbing, heating and ventilation have started in western and southern provinces, Darkhan and Gobi Sumber aimags and Ulaanbaatar. It would be more efficient if this type of training is given through cooperation between the government and businesses. This system where vocation training is jointly managed by the government and businesses is beneficial to both parties. The government does not need to invest in high cost equipment for training, but prepares highly skilled workforce. It creates a social group that receives good pay, stable income, and has strong purchasing power. As a result, customer satisfaction is increased and private businesses have better competitiveness and improved productivity. It expands the tax base for the government. The private sector makes up for its spending on vocational education by improvement in productivity and ensures a skilled line of workforce. It contributes to strengthening corporate social responsibility and improving the quality of products. It is time that Mongolian government and the private sector cooperated to manage technical and vocational education. March 24 (Mongolian Economy) Executives of major companies operating in the capital reached a decision this week to establish the Ulaanbaatar Chamber of Commerce and Trade after several discussions. The new Chamber defined its long term aims for developing Ulaanbaatar into a leading regional financial and business centre. Its goals are to support the city's economic development, protect the interests of entrepreneurs, develop the partnership between the government and the private sector, and create a favorable environment for investment and business cooperation with the governing City Council. Representatives of 64 companies participated in the meeting. They approved the rules and regulations of the Chamber, and chose a president and board of directors—consisting of 15 members, including MCS Group, Shunkhlai, Ard Financial Union, Golomt Bank, Newcom, Jiguur Grand and Nomin Holding. By unanimous vote, the new board of directors selected president of MCS Group J.Od as the first president of the Ulaanbaatar Chamber of Commerce. The newly elected president of the Chamber, J.Od, stated: "The world's largest cities have Chambers of Commerce, which integrate their enterprises. These chambers support taxpaying companies who make valuable contributions to the development of the city, and hear their voices and opinions to make collaborative decisions. People who live in the city, including myself, wish and dream to make Ulaanbaatar a comfortable, clean and beautiful city that has a favorable business and investment environment. Thus, entrepreneurs and municipal authorities will work together to set a correct and reliable foundation for our Chamber." In accordance with the rules, the president will serve a two-year term, and can be elected twice. The 15-member board of directors will establish an executive office for day-to-day work. Many have questioned the difference between the Mongolian National Chamber of Commerce and Industry and the Ulaanbaatar Chamber of Commerce and Trade. Ulaanbaatar Chamber board member and director of the Mongolia Opportunities Fund B.Batsaikhan said: "The Mongolian National Chamber of Commerce and Industry is a national organization that integrates many large and small companies and performs a wide scale of operations through its local branches. As for our Chamber, it will operate within the framework of Ulaanbaatar entrepreneurs and will cooperate with professional associations and the National Chamber of Commerce and Industry." The first chamber of commerce was founded in 1599 in Marseille, France. A chamber of commerce is not a governmental body or institution, and has no direct role in the writing and passage of laws and regulations that affect businesses. However, it's usually the largest non-governmental organisation that represents a locale's business community. Chambers of commerce serve as the main private sector non-profit organisation that cooperates with policymakers in an attempt to get laws passed that are favorable to businesses. During this week's meeting, General Director of the Economic Development Agency of Ulaanbaatar E.Temuulin said: "We certainly have to work together with the private sector to develop not only the capital city but also the whole country. Therefore, the city administration welcomes this proposal of cooperation. We have a plan to make Ulaanbaatar a regional economic and financial centre. We believe our cooperation will successfully continue under one purpose." The organisers of the meeting explained that they have invited foreign representatives from America and Japan to help make Ulaanbaatar an international financial centre. Ard Financial Union executive director Ch.Ganhuyag noted that the Chamber's membership is open to all and appealed to all companies operating in Ulaanbaatar to join the Chamber. Several company representatives shared their thoughts on the establishment of the Ulaanbaatar Chamber of Commerce and Trade. We successfully held the first meeting to establish the Ulaanbaatar Chamber of Commerce. This was work that needed to be done. I would like to congratulate those who initiated and organised this work. Ulaanbaatar is the economic centre of Mongolia. We need to protect the interests and investments of businesses operating in this economic centre. Also, the City Mayor's Office expressed their support during the meeting. I believe that the establishment of this Chamber of Commerce will be a big contribution to the future development of the city. In addition to the 64 companies who were present today, the Chamber is open for other companies to join, if they agree to the rules and regulations. We will support and cooperate with them. Most of the Mongolian enterprises are operating in the capital city. The offices of foreign companies which are investing in Mongolia are located only in Ulaanbaatar. Most of the population resides here. It means that Ulaanbaatar creates business and economic competitiveness. Ulaanbaatar is the face of Mongolian development. Therefore, our Chamber will actively operate to not leave all the issues to the city council, but to resolve the issues together and create a comfortable, neat and clean city together. And we will work in unison to make Ulaanbaatar a financial and business centre within Asia. I think it's an initiative to develop the country through an innovative method. I believe the establishment of this Chamber will solve many issues of city development and the business sector by supporting the businesses operating in the city and consolidating the voices of the private sector to support their development. Ulaanbaatar, March 23 (MONTSAME) Clean Energy Asia LLC, a subsidiary of Newcom Group, intends to build a 50 MWT wind power plant in Tsogttsetsii soum of Omnogovi aimag. The main investors for the project are Japan's SoftBank and Japan's International Cooperation Agency (JICA). The European Bank for Reconstruction and Development has also presented its interest to cooperate in the financing. Estimated total value of the investments stands at some 100 million US dollars. According to the company, the produced in Tsogttsetsii energy will be supplied to the Central region's power grid, the commercial agreement with the Government has already been inked. "The project's feasibility study has been concluded, now we are focusing on the financial matters," said a director of Newcom Group responsible for energy and infrastructure D.Gankhuyag. The group has been conducting studies in this soum since 2008 and has concluded that it has the appropriate wind speed for the intended plant. The studies are continuing in the matters on building wind and solar power stations to occupy 230 thousand hectares in Khurmen, Bulgan and Tsogttsetsii soums, he added. A feasibility study works for Khurmen's wind power station has been commenced. The further intention of this project is to export the energy to China, Japan and South Korea, in frames of the Asia Super Grid initiative. March 24 (gogo.mn) With this section on our website we are aiming to introduce the many possibilities and opportunities Mongolia can offer despite all the negative light shed lately through the international media. The focus will be given on the businesses run both by Mongolians and foreigners in Mongolia, on their success stories, challenges and what are their aspirations. As our first guest of the series, we have invited young and talented CEO Bolortuya Dorjsuren, mostly known as Beverly. Many of our readers might possibly have already become familiar with a name Seaberry. Our guest has founded the company and is successfully leading it to take the foreign markets with its organic skin care products and organic tea blends. Yet this is not the end. She has the vision to do more and is working on her next big project; we will get into more insight through her interview. What have inspired you to start your own business in Mongolia? My father has been cultivating seabuckthorn at his farm for over 10 years now. After graduation in U.S. I have been working for the Cailyn Cosmetics Company as Brand Manager for 8 years and have gained extensive experience in international cosmetics industry. Cailyn Cosmetics has businesses in 161 countries, so you can tell how big the company is. I came back to Mongolia three years ago, with the purpose of helping my family business by developing new products based on the seabuckthorn oil extract and exporting other products blended with Mongolian-grown seabuckthorn. So I approached my business partner Donald Siegel, owner of the Turning Point Holdings company with operations in Mongolia, on potential partnership and joint venture. But Seaberry Farm is 100% Mongolian Company with activities in Mongolia and our farm is located in Tuv aimag. From what you are saying it is very clear that with all the knowledge and experience gained with studying and working in USA you wanted to contribute to the development of Mongolia. So the next question is what was the driving force to come up with those specific products that Seaberry Farm is offering now? First of all, we have conducted a huge research on what we can do with seabuckthorn and what properties this berry has. As of teas that we are producing, it was a decision based more on a business environment we have. It is inconvenient to export raw berries, and seabuckthorn juice, so in order to enhance our opportunities we came up with idea using dried leaves of the berry and making it into tea, as it contains most of the biologically active components of the berries on top of high amounts of protein and beta-carotene. Other range of our products, we have conducted studies on seabuckthorn oil extract and what we can do with it in order to compete at global market. Especially when you have such a superfruit as seabuckthorn with strong healing and rejuvenating properties and our experience in cosmetics industry, we have developed skin care line. I have researched for seabuckthorn before and it indeed is considered as the next superfruit on western markets and new farms of this berry are being established widely in Canada? Canada, Germany and France familiar with seabuckthorn farming. Biggest seabuckthorn farming country as of now is China. Chinese government supported planting of seabuckthorn trees due to its properties to fight with desertification and to preventing soil erosion. As for Seaberry, we focus on branding strategy, and I 'd like to associate branding with the life experiences. Especially in western markets consumer's behaviors are towards to organic, healthy products. In this regard, we work towards promoting our products being organic and moreover using raw products grown in Mongolia, by Mongolian farmers and processed on Mongolian soil. Main direction of Seaberry farm is the exports of Mongolian seabuckthorn skin care products. What challenges have you faced or are you still facing with exporting goods to foreign markets? Main challenge is to adhere to the health and safety standards, we are constantly working on the documentations of our products and we've been working with specialist from France and USA on product development and production. We are working with cosmetics manufacturers in Bali, Indonesia, which complies with all the ISO standards that are acknowledged globally, we send samples to Central Laboratory in Mongolia and Singapore for the necessary tests and comments. Without these document certifying the origin and compliance there is no way to do exports at all. People might misunderstand as the production of the end user products is done at the manufactures in other country, whereas the essential product, which is the seabuckthorn oil extract, is produced here in Mongolia with berries grown by Mongolian farmers on Mongolian soil. What marketing tools do you use to promote your products? We promote our products as Product of Mongolia. On packaging we place brief history of the berry, every promotion material tells the products are from Mongolia and it features the superfruit of Mongolia. Main ingredient is from Mongolia. Another distinctive feature is we are 100 percent Mongolian company and we have distribution channel in Singapore, because logistics is very poor in Mongolia and we do not have ports to ship directly. So it is convenient for our business partners to have access to our products at any given time. We have talked about exporting the products. Which countries are you already exporting to? We are now working on exporting our products to USA, Europe and Mainland China. Although our company was established three years ago, one year and half was spent on the product development phase. We had to do studies and research on what products to manufacture and where to manufacture them. This process alone takes time, as we need to study on the ingredients and how to mix them. Simultaneously we worked on how we should market our products and here we took the approach to promote Mongolia and Mongolian Seabuckthorn, as we cannot depend on mining alone and Mongolia has advantage in farming as well. Whenever people hear word Mongolia, the first thing that comes up to mind is nature and organic. This is our advantage, which we need to utilize. Based on these advantages we decided to compete in cosmetics, health and food sectors. Our latest development is the contract to supply our product to one of the biggest organic food and products store chain Whole Foods in U.S. When do you plan to introduce your products to Mongolian market? We are starting to promote our products in Mongolia and we have contacted with supermarket chains to place our cosmetics products. On top of that we are doing TV commercials. But there are some obstacles for us in this sector as Mongolian consumers are more inclined to use imported cosmetics. But we can proudly say that we offer same quality products with one more advantage, which is organic. We do not use chemicals in our cosmetics or teas. We have received Organic Certification from the Mongolian Chamber of Industry and Commerce. Thus our products can substitute any imported brand. How are Mongolians supporting your project? We are actually receiving positive feedbacks even from the rural residents and some of them would contact us and express their interest in our company and our products. I believe that Mongolia is very capable nation and Mongolians have the full potential of building strong businesses here. I hope that other young Mongolians would take example of what we are doing now and see the opportunities themselves. What were the challenges in starting the business? Is there any support? Mongolians actually are very supportive and there are actually many people who really understand us and help us a lot with the customs as we are exporting raw materials, as well as Mongolian Chamber of Industry and Commerce. On the other hand, there are obstacles with documentation. Due to the lack of digitized procedures we have to have so many copies of one document that is required at the different agencies and entities, although those entities are all connected to each other. This takes a lot of time and effort from our side, but we have to adhere to the procedures. There is no efficiency in documents processing, there is lack of online submission of documents. How are the products welcomed at the roadshows? It is very different and depends on the market. For instance, in Europe and U.S. they are very open and get interested once they know it is from Mongolia, while in Asian market the situation is much different. Asian countries have leaped far in cosmetics industry and there is vast variety of products on the market. It takes more time and effort with introducing our products; sometimes the process is similar to educating the consumers on the benefits of seabuckthorn and organic products. Japan and Korea are somehow good, but we are facing challenges in Asia. Why do you emphasize on Mongolian Seabuckthorn? Does it have more richness of its components compared to, for instance, Chinese seabuckthorn? It does indeed. The percentage of the components found in Mongolian seabuckthorn is much higher than any other. Also our laboratory tests have proven that Mongolian seabuckthorn has more anti-aging qualities than of grown in other countries. And that specific quality comes from the location and harsh weather conditions. Are you planning to enhance the range of food products or you will limit the production with tea? In terms of food or drinks it has some downfalls as we are organic producer and the juices or bottled products require additives or preservatives to have some shelf life. As I have mentioned before, Mongolia is landlocked country and it takes time to transport from here. So we are focusing more on cosmetics and health products. Also as we aim to produce only organic products, we use only natural ingredients. You mentioned about the foreign partners and inviting the researchers from abroad, which bear costs. Are the operations of the company profitable yet to cover those expenses? It will take two more years to actually have profits, as we have been working to come up at global level, we bear huge costs. We are competing with giants in the industry who have been around for at least 10 years and some have the history of 50-100 years. We have to have strong marketing strategy and strong team of professionals. About my partner Don Siegel, he is professional in cosmetics world and he was fascinated with our project and supports our activities a lot. At farm we have 30 employees, while during the harvesting time the number increases to 80 during the summer and at the headquarters we have 4 administrative employees. Moreover, during the harvest local farms also supply their harvest and oil. Also we have many both international, and local sub-contracting companies: marketing, design, product development and financial etc. In other words, we are creating value for other companies and businesses as well and we are aiming to unlock opportunities for other seabuckthorn farmers operating in Mongolia, through our channels. More on the upcoming project? We are aiming to create hydroponic farming at our land in Tuv aimag and we are currently raising funds to start the project. We have developed the concept and have everything set ready to start. The mission is to apply proven hydroponic, aquaponic and greenhouse technologies to create 12 months production cycle for fruits, vegetables, herbs and fish. We are hoping to reduce the country's reliance on imports and to provide rich and nutrient rich food and create more employment opportunities for Mongolians. Here we are aiming to utilize renewable energy to power the operations and have as less impact on environment as possible with introduction of new technologies. Moreover, we envision this project to become one of the favorite tourist attractions, as it will also offer accommodation, spa services using our cosmetic products and a chance to relax in fresh air, having advantage of very central location. Thank you for your time and we wish all the success in your endeavors. Hunnu Mall: What's Behind the Hype? March 24 (gogo.mn) Why many people heading to Hunnu mall, which has just opened in last week and located at the Yarmag or in front of Viva city town? Because, Hunnu mall offers you to try the first indoor ice rink, IMAX 3D theater and go-cart besides toyland for kids, brand shops, restaurants, fast food, and coffee shop. Our report team visited Hunnu mall and we are delivering the photo report. B1 floor has little park which includes fountain, green plants and two giant dinosaur bones. Moreover, you can try Japanese, Korean and Mongolian foods, fast foods or coffee from coffee shop at B1 floor while watching the little park. Note: The meals were finished when we arrived there at 8pm and the portions seemed quite small. Indoor ice-rink locates at B1 floor too. One hour skating is MNT 6000 for adults and MNT 5000 for children. It has two coaches, who will teach you how to skate for free or you can skate here with your own skate. Note: Don't expect the rink to be big. Somehow the size is small from what one might expect. On second floor one can enjoy go-cart and IMAX 3D theatre. You can visit game center at Hunnu cinema while waiting for the movie. Note: There were few attractions yet there is enough space to add few more. In addition, Hunnu mall has toyland for the kids, where you can leave your kids and go for shopping or entertain yourself. Note: There are no shops opened, except of furniture, cashmere, electronic goods and souvenir shops. The American Chamber of Commerce in Mongolia (AmCham) is an independent organization with the mission to build stronger commercial ties between the United States and Mongolia and to actively promote Mongolia as a destination for global investment. AmCham is the official local affiliate of the U.S. Chamber of Commerce, which is the largest business federation in the world with over 3 million member companies. The ideal candidate for this position should be a high-caliber professional with significant strategic and leadership skills. The ability to effectively communicate in Mongolian and English is essential. The candidate should have a strong knowledge of the Mongolian business and political landscape. Only shortlisted candidates will be contacted. For more information, please call the AmCham office at 7000-3437. Ulaanbaatar, March 24 (MONTSAME) The cabinet meeting on Monday decided to submit to parliament a bill on ratifying a financing general agreement established between the government of Mongolia and the Asian Development Bank (ADB) for an investment program on developing the capital city's public transport. This program will be implemented for 7-10 years in three phases with an aim to resolve a financial source for introducing a bus service with special routes. A statistics shows that some 600 thousand passengers go everyday by 2,200 public transport vehicles in Ulaanbaatar, some 60% of the city's population go by less than two percent of the total vehicles of the city. Furthermore, the city is facing some problems such as traffic jams on central roads due to irrational organization of auto road network and growing number of private cars. The policy document reflects goals including an expansion of roads going from west to east and from north to south. March 23 (news.mn) The Mongolian Youth Federation, the Mongolian Bicycle Association, together with the Mongolian Triathlon Federation, the Young Bicycle Rider's Club, Friendly Ulaanbaatar Club, Friendly Bike Club, and Cannondale, Attila and Trek bicycles shops are implementing the "Ulaanbaatar with Bicycles" program. By implementing the program the organizers hope to see the use of bicycles in the city grow up to seven times. The program calls for bicycle parking to be built outside of all universities and outside all state and private organizations, encouraging growth in the number of citizens riding bicycles and helping to reduce air pollution and traffic in the city. Ulaanbaatar, March 24 (MONTSAME) Logistic centers for the "Bogd Khaan" railway and the "Ulaanbaatar" mixed transportation will be established. At its meeting on Monday, the cabinet ordered N.Tomorkhuu, the Minister of Road and Transportation, to work out feasibility studies and designs of the logistic centers with a technical assistance of the Asian Development Bank (ADB), and gave him and the Finance Minister J.Erdenebat an obligation to discuss the financial matter with the ADB. The preliminary feasibility study and design of the "Bogd Khaan" railway have already been drawn up. This railway will be run from the "Rashaant" railway station in Tov aimag's Batsumber soum to the "Maanit" station, circling a new international airport being constructed in Khoshig valley in Tov province. By the plan, this railway will transport transit freight only to let the railway that crosses the capital city transport international and domestic passengers. This will remove obstacles in the vertical axis, will not let trains with dangerous freight, such as poisonous/explosive substances, cross the city, and reduce a massive pollution of air and soil caused by coal transport. After connecting the new railway with the international airport in "Khoshig" valley, conditions will be created to construct a unified terminal railway for the UB mixed hub and the AN-3 highway. It is projected that the terminal railway will increase the freight flow. A new highway to the new international airport will be run under concession contract, therefore, the expense can be recovered by road toll. March 24 (infomongolia.com) Russian Ural Turbine Works (UTW) has put into operation a new turbine generator (120 MW) at the largest in Mongolia, the Ulaanbaatar CHPP-4 (combined heat and power plant). On March 20, 2015, the official start-up ceremony of the turbine unit was held at the CHPP-4 site in Ulaanbaatar in the presence of Minister for Energy of Mongolia D.Zorigt, Ambassador Extraordinary and Plenipotentiary of the Russian Federation to Mongolia I.K.Azizov, and some representatives from the State Great Khural (Parliament). The event has also been participated by heads of Russian companies involved into the project implementation including Director General of Rotec CJSC and Chairman of the Board of Directors of UTW CJSC, M.Lifshitz and Director of Soyuz Holding Company, S.Chaplik. Moreover, the telegram of greetings addressed to the participants of the ceremony was sent by the Russian Prime Minister, D.A.Medvedev. Commissioning of the power facility of such capacity is a significant event for Mongolia. All CHPPs operating in the country were built in the 1950s-80s with the support of the USSR (Soviet Union) and require reconstruction or modernization including increasing of capacity. To carry out modernization of Ulaanbaatar CHPP-4 which currently operates six Soviet-made turbines, Mongolia chose Ural Turbine Works CJSC (UTW), part of Rotec Holding Company, as a general contractor. Along with manufacturing and supply of the main equipment, the UTW was the only company, who implemented the contract on turnkey basis. Design, construction and installation works as well as commissioning were performed by ECC Soyuz JSC. The project was implemented in close cooperation with engineers and workers of Ulaanbaatar CHPP-4 and other Mongolian companies participated in the construction of the power-generating unit. At the opening ceremony, Russian Ambassador to Mongolia, Iskander Azizov said, "Relations between Russia and Mongolia, as a tradition, have the nature of neighborliness, diversified character and are based on a long history of bilateral cooperation. After a break in the 1990's these relations have been recommenced in the spirit of strategic partnership. Involvement of the Ural Turbine Works, being a part of Renova Group, along with other Russian engineers into the expansion project of Ulaanbaatar CHPP-4 has become a good example in terms of renewal of technological cooperation between the two countries". Chairman of the Board of Directors of Ural Turbine Works CJSC, Mikhail Lifshitz in his turn emphasized, "The turbine Т- 120/130-130-8МО installed at the power plant is the latest turbine manufactured on the platform of model T-100, which is familiar to Mongolian power engineers, but the new one has increased power capacity: more than 120 MW. The project has been implemented by us on turnkey basis in the shortest time. I would like to express our gratitude to the customer - Ulaanbaatar CHPP-4 and Mongolian companies, who showed high professionalism namely "Khos Bar", "Chansaa Holding", "Suuri", and "Meez", as well as our Russian partners from ECC Soyuz and other companies. We hope that our cooperation will turn to a long-term partnership, and we will participate in other projects focused on the development of the Mongolian energy system". Director of Soyuz Holding Company, Sergey Chaplik added, "All the commitments made with regard to design, construction and installation works as well as commissioning of the power plant were performed by ECC Soyuz, almost twice as fast as similar projects are usually implemented. The fact that between Russian and Mongolian engineers were established not just close working relations, but actually we managed to gather a joint team of like-minded people, who put all their strength, knowledge and experience into the success of the common goal also played its role. During implementation of this project, Soyuz Holding Company gained the unique experience of cooperation with all the partners. We believe that we will use accumulated potential in the implementation of future energy projects in the republic, which are to be equally complex and demanding". After commissioning of the new turbine unit, the installed electric power of the plant (with steam extraction for central heating) has been increased from 570 to 693 MW, and maximum capacity - from 660 to 790 MW. Installed heat energy generation for consumers of Ulaanbaatar has also been significantly increased - from 1185 Gcal/h to 1373 Gcal/h. Capital investments for the project amounted to over 2.5 billion Rubles (RUB). The project for construction of the new turbine generator at Ulaanbaatar CHPP-4 became the winner of the award "Altan Gerege" by the President of Mongolia in 2014. VneshEconomBank of Russia honored the project of Ural Turbine Works CJSC among the nominees of the competition "Development Award" as the "Best Export Project." Ulaanbaatar CHPP-4 is the largest energy plant in Mongolia. Construction started in 1980, and in 1983 the new power plant began to produce electricity. By 1991 CHPP was modernized - two additional steam turbines were installed. Lignite from Baganuur surface coalmine is used at the power plant as a fuel. CHPP provides heat and electricity for the industrial consumers and public utilities of the Mongolian capital. Ulaanbaatar, March 24 (MONTSAME) The Ministry of Industry D.Erdenebat Tuesday received Mr I.K.Azizov, the Ambassador Extraordinary and Plenipotentiary of the Russian Federation to Mongolia. The parties exchanged views on measures for abolishing difficulties in passing Mongolia-Russia borders in frames of a matter of the bilateral cooperation. They also discussed a chance of setting up a joint working group for establishing a trans-boundary commercial free-zone in conjunction with an approval of a new wording of the law on free-zone. After this the two shared views on a preparation for a visit of a delegation headed by T.D.Valovaya, a member of the Ministers' Council of the Eurasian Economic Commission in charge of main guidelines of integration and macroeconomic affairs. The visit is expected late March. March 24 (gogo.mn) March 23th 2015 Beijing hosted trilateral meeting of the Vice Ministers of Foreign Affairs of Mongolia, Peoples Republic of China and Russian Federation. Vice Ministers of the three countries have attended the meeting, which was dedicated to expanding trilateral cooperation on trade, economy, infrastructure, humanitarian and other sectors and exchanged their views on documents and agreements to be signed during the upcoming trilateral meeting in Ufa, Russian Federation to be held in July 2015. - Minister of Roads and Transportation N.Tumurkhuu, who is concurrent Chairman of Mongolia-South Korea Intergovernmental Joint Committee on behalf of Mongolian Government, is entrusted to co-host the First Mongolia-Republic of Korea Joint Committee Meeting in Ulaanbaatar to be held on March 25-26, 2015. Also, Minister N.Tumurkhuu is assured to appoint the Joint Committee's members of Mongolian side and to adhere Mongolia's policy. - Moreover, the Minister N.Tumurkhuu was also obliged to administer the feasibility study to construct the intermodal logistics center for new "Bogdkhan" railroad to connect Rashaant and Maanit platforms and "Ulaanbaatar" Railway with support of Asian Development Bank (ADB) and the priorities to negotiate with the ADB on fund for construction were given to Minister N.Tumurkhuu and Finance Minister J.Erdenebat. The Bogdkhan railroad will be detouring the new International Airport being constructed at Khushigt Valley in Tuv Aimag. Ulaanbaatar, March 23 (MONTSAME) The Minister of Environment, Green Development and Tourism D.Oyunkhorol MP Friday received Koyu Tanaka, the secretary of the Japan-based Permanent Council of the International Forum of Northeast Asian Tourism (IFNAT); and Shinsaku Suzuki, a member of the Council. At the meeting, the sides exchanged views on organizing the 11th IFNAT in Ulaanbaatar on August 20-21. To be held under a theme "Tourism for meetings, fairs and exhibitions", the international forum is expected to bring together some 200 delegates of Mongolia, China, Japan, Russia and South Korea. 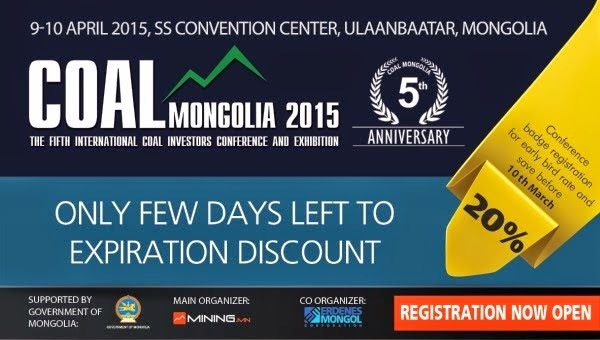 Since its first participation in the IFNAT in 2008, Mongolia has been actively attending every year. The previous IFNAT took place in Kitakyushyu city, Japan. Main objectives of the IFNAT are to discuss urgent problems faced to the regional tourism sector, to co-formulate solutions for overcoming difficulties, to strengthen the ties with regional countries in the tourism sector, and to share experiences and information. March 23 (infomongolia.com) On March 20, 2015, President of Mongolia Ts.Elbegdorj received the representatives of the Presidential Advisory Board of the Republic of the Union of Myanmar. The delegation led by Chief Political Advisor to President Ko Ko Hlaing and Chief Legal Advisor to President Sit Aye have been visiting Mongolia to learn its experience of the transition to democracy. At the beginning of meeting, President Ts.Elbegdorj wished representatives success in their visit and remembered his visit to Myanmar in 2013. During this visit, President Ts.Elbegdorj met with President Thein Sein, the First Speaker of the Upper House of the Parliament Khing Aung Myint and the leader of opposition, Nobel Peace Prize Laureate Aung San Suu Kyi respectively. The meeting held in a constructive and friendly atmosphere. Concluding the meeting, President Ts.Elbegdorj asked the representatives to convey his sincere greetings to the President of Myanmar, the Speaker of the Parliament and the Nobel Peace Prize Laureate Aung San Suu Kyi, reports the Press and Communications Division of the Office of the President of Mongolia. Following the meeting, President Ts.Elbegdorj welcomed the guests at the State Affairs Ger Palace. Ulaanbaatar, March 24 (MONTSAME) The Minister of Environment, Green Development and Tourism and a head of the Mongolian-Hungarian intergovernmental commission D.Oyunkhorol received the temporary charge d'affaires of the Embassy of Hungary to Mongolia Mr Michael Galoshfay, last week. They discussed ways to organize the next meeting of the commission in Ulaanbaatar and intergovernmental issues that will be raised during the official visit of the President of Hungary to Mongolia to take place this April 14-15. Mr Galoshfay proposed holding the meeting this October and said the President plans to address three topics: government policy of Mongolia concerning the global climate change, projects and programs implemented in the study of water resources, and a program to ensure the safety of drinking water in Ulaanbaatar. The Minister accepted the proposal and stressed that our government appreciates a support and contribution of Hungary to the development of water economy of our country. "Related ministries and research institutions of the two countries have been cooperating for many years, especially in the study of water resources in Mongolia, so we are interested to have our Hungarian colleagues take part in the development of the master plan in the field of water resources, in the establishment of reserves of underground waters, and exploring possibilities of water from surface sources," said Oyunkhorol. She also invited the Hungarian side to cooperate through the exchange of experience at the level of scientists and researchers of water sources, training for the sector, and professional development. She expressed an interest in cooperation in the fight against epidemic diseases and pests of forests, "Hungary has a lot of experience in this field", she said. Ulaanbaatar, March 23 (MONTSAME) An expert and Ambassador of Mongolia J.Choinkhor; and an advisor at the Multilateral Cooperation Department of the Ministry of Foreign Affairs P.Baasankhuu participated in the 9th ARF Experts and Eminent Persons (EEPs) Meeting held March11-13 in Helsinki, Finland. Co-organized by the European Union (EU) and Singapore, the meeting attracted experts of 26 countries. The Foreign Minister of Finland Mr Erkki Tuomioja made the opening remarks of the meeting which was co-chaired by B.Desker, an expert and Ambassador of Singapore; and his counterpart of Finland E.Hamilo. The participants shared views and issued recommendations on opportunities and challenges for implementing diplomacy on prevention in Asia-Pacific region, realization of a plan of the ARF Prevention Diplomacy, its prospects, peaceful mediation, talks, regional disputes, improving the ARF actions and other issues. March 23 (infomongolia.com) Following the meeting with the Marshal of the Senate Bogdan Borusewicz, Speaker of the State Great Khural (Parliament) Zandaakhuu ENKHBOLD held a meeting with the Marshal of the Sejm (Lower House) Mr. Radoslaw Sikorski on March 19, 2015. During the meeting, parties agreed that the bilateral relations have been growing not only in the frames of parliamentary partnership, but also in many other spheres and relying on strong inter-state cooperation, the sides expressed their willingness to deepen collaboration in economic spheres. In his remarks, Speaker Z.Enkhbold noted, "We appreciate the Government of Poland on supporting the European Union-Mongolia Partnership and Cooperation Agreement signed in April 2013. The Mongolia-Poland Intergovernmental Commission plays an important role to expand bilateral economic partnership and in order forward the cooperation, parties should implement tasks negotiated at the first Mongolia-Poland Intergovernmental Commission meeting. In the frameworks of Mongolia's Government Action Plan for 2012-2016, it was reflected to stimulate Project on Gas and Liquid Fuel from Coal as well as Project on Studying in Developing Oil Shale and Coal Chemical Factories. In the scope of this implementation, the Genie Oil Shale Mongolia LLC is planning to build a pilot plant in Mongolia. However, Poland is experienced in this sector and thus, we would like to get acquainted and cooperate with Polish oil shale development industry. Also, Mongolia expresses it gratitude to the Government of Poland for stating to support Mongolia's candidacy for United Nations Security Council Election to be held in New York during the 77th session of the United Nations General Assembly in October 2022. Moreover, Mongolia is currently undertaking to host the 11th Asia-Europe Meeting (ASEM) Summit in Ulaanbaatar, Mongolia in 2016 and we hope Poland would participate with its high-level representatives. In conjunction, we invite the Polish Parliamentary delegates to attend the Parliamentary Assembly of the OSCE to be held in Ulaanbaatar, Mongolia in September 2015". Following the meeting, Secretary General of the State Great Khural, B.Boldbaatar and Lech Czapla, Secretary General of the Sejm have inked a Protocol, and the Mongolian delegates visited the Sejm Hall. On the same day, Minister for Foreign Affairs of Poland, Grzegorz Schetyna paid a courtesy call on the Speaker of Mongolian Parliament, and at the beginning of meeting Foreign Minister noted the partnership between our two countries relies on friendly relations that has been lasting since the establishment of diplomatic ties. On March 19, 2015, Speaker Z.Enkhbold met with the Deputy Prime Minister of Poland Mr. Janusz Piechocinski and during the meeting, Deputy Premier emphasized that the two countries cannot utilize the partnership ties at hundred percent and therefore, he expressed his interest to broaden cooperation as in economic sector as well as in cultural spheres. At the end of his first day official visit, Speaker met with Mongolian citizens residing in Poland and currently, over 920 Mongolian nationals are studying and working with legal residencies. On March 20, 2015, the Parliamentary delegates headed by Speaker Z.Enkhbold and Marshal B.Borusewicz visited Gdansk city on the Baltic coast, Poland's principal seaport and laid wreaths to the Monument to the Fallen Shipyard Workers of 1970 in Gdansk. On the same day, the delegates participated in the opening ceremony of "We have same solidarity with Mongolians" exhibition at the "European Solidarity Centre" in Gdansk. March 23 (infomongolia.com) On March 18-21, 2015, Mongolian Parliamentary delegates continued their official visit to the Republic of Poland right after the visit conducted to the Federal Republic of Germany. The visit to Poland was headed by Speaker of the State Great Khural (Parliament) Mr. Zandaakhuu ENKHBOLD upon an invitation of the Marshal of the Senate, Mr. Bogdan Borusewicz. At the bilateral meeting, Chairwoman of Mongolia-Poland Parliamentary Group at the State Great Khural MP L.Erdenechimeg, MP L.Bold, MP Ts.Nyamdorj, MP U.Enkhtuvshin, MP Z.Bayanselenge, Secretary General of the Secretariat of Parliament B.Boldbaatar, Senior Advisor to the Speaker S.Lambaa, as well as Ambassador Extraordinary and Plenipotentiary of Mongolia to the Republic of Poland A.Ganbaatar and other officials were present. Mongolia and the Republic of Poland have established the diplomatic relations on April 14, 1950. The Embassy of Poland in Ulaanbaatar was first established in 1960 but closed following the 1990s economic crisis and had been re-operational in 2005-2009, later the Honorary Consulate of the Republic of Poland to Mongolia was opened in June 2011, chaired by Head of Mission Mr. Dashdeleg GANKHUYAG. Moreover, the Polish Government has recently appointed the Ambassador Extraordinary and Plenipotentiary of the Republic of Poland to Mongolia as Mr. Michal Labenda. March 23 (Daily NK) Mongolia's international circus festival will take place from March 23rd to 29th and feature international performers from Mongolia, China, Russia, Spain, and North Korea. The North Korean performers hail from the renowned Pyongyang National Circus, known for its application of a unique flying trapeze technique, which is characterized by a quadruple front and back flip along with a triple seesaw jump. Typical performances in North Korea consist of various acts involving trapezes, seesaws, bicycle acrobatics, animals, juggling, clowns, and magicians. Not only that, the Pyongyang National Circus employs a multitude of environmental elements in its performances, flying through the air, skidding over ice, and swimming under water. The selection process for the Pyongyang National Circus is a rigorous one: from the age of nine only the top athletes are recruited to follow nine years of training, based on criteria such as facial beauty and symmetry, flexibility, height, physique, etc. After intensive gymnastics training the recruits choose to enter one of seven performance sections: air circus, land circus, water circus, ice circus, animal circus, magic, and clowning. Technique is paramount in the North Korean circus but, surprisingly, humor also plays a pivotal role in keeping audiences engaged. Most importantly, at international festivals of this sort the North Korean authorities do not push ideological notions or propaganda, letting the art speak for itself. Kim Jong Il defined the circus as "a refined art," with a fixed place within North Korean society because it "maintains and transmits our pure ideology, intelligence, bravery, and determination to people." His reason for doing so stemmed from a desire to avoid intertwining the notion of the "circus," associated with capitalist art and culture, with "gyoye," or "refined art." These performances offer one of the best forms of cultural exchanges currently available with North Korea; the Pyongyang National Circus is an oft-requested guest by international festivals around the world, even coming to Seoul in 2000. After securing the golden elephant in March, the top prize offered at the Figueres international circus festival, the Pyongyang team will perform the same routine in Mongolia. The same number also won a golden clown at the Monte-Carlo Circus Festival in January, trumping China's team. Further bolstering the group's success was ranking first place at the Cirque de Demain Festival, the Moscow IDOL Festival, and the Massy Circus Festival. North Korea's renowned circus troupe offers the rare opportunity to transcend cultural stereotypes and breakdown barriers between North Korea and the international community, allowing audiences to appreciate art in and of itself, rather than intertwine it with politics. North Korea performs in front of audiences regardless of their background--"hostile powers" or otherwise-- presenting an opportunity for the world to appreciate these performers' myriad talents, rather than brandishing their work as "socialist art" or "capitalist art." March 23 (Mongolian Economy) It requires 3,500 litres of water to produce one kilogram of white rice. For one kilogram of beef? At least 15,000 litres of water. Producers rarely consider how much water they're using to make their goods. President of Mongolia Ts.Elbegdorj has made water a priority in his term in office. However, Mongolians improper use of water and careless attitude towards water remains unchanged, even when environmental protection of water resources and management has become a big issue for Mongolia. The country's demand for water is increasing. Besides the demand of drinking and household water, power and heat production, manufacturing and mining industries require large amounts of water. As in Mongolia, water is a problem that affects much of the globe. According to the United Nations, Today, 85 percent of the world population lives in the driest half of the planet—783 million people have no access to clean water, while nearly 2.5 billion have no access to adequate sanitation. According to the World Health Organisation, 3.4 million people, mostly children, die annually from water-related diseases. This reminds us that we must conserve water, use it properly, and avoid contamination, to save our lives, those of our children, and of humanity around the globe. World Water Day has been observed every March 22 since 1993, when the UN General Assembly declared a 'World Day for Water'. On the occasion in 2014, Director-General of UNESCO Irina Bokova said: "Improving access to freshwater is about enabling millions of girls to go to school instead of walking kilometres to fetch water. It is about improving maternal health, curbing child mortality, and preserving the environment. There is enough water in the world for everyone. What we continue to lack is better governance and the collective courage to craft fair compromise solutions. UNESCO will continue to commit its resources to this cause. The main objective of the World Water Day is to draw public attention on the importance if clean water and to support the sustainable management of water resources." "Worldwide, agricultural—including livestock—accounts for over 70 percent of all freshwater consumption." With world population now over 7 billion, and expected to reach 9 billion within the next 10 years, the availability of water is deteriorating day by day in front of our eyes, and sooner or later it will become a very uncomfortable issue for us all. According to data compiled by the World Bank, Mongolia's total annual freshwater withdrawals, which includes household, agriculture and industry usage, is 600 million cubic metres per year. Concentrated mining, industrial or residential activity in one region leads to water shortages and a need to find water elsewhere. In the Gobi Desert, one of the driest places in the world, the Tavan Tolgoi mine alone uses 76,000 cubic metres of water per day, according to a 2010 World Bank water resources report. According to the 'Study on integrated management of water resources in Mongolia', one person will use one cubic metres of water per day by 2021. Integrated management of water resources project manager Ian Brown said that the increase of households and manufacturers increases the amount of wastewater, thus impacting the natural water purification process. He added: "We need to take measures to prevent contamination before it reaches the extent that the environmental regeneration becomes impossible. Or else Mongolians will leave a huge burden to future generations." As of 2012, each ger district household pays MNT 1 per one litre of water, while apartment and city residential households pay MNT 25 per one litre of water. In today's free market society, it's impossible to buy anything for MNT 25 other than water. Mongolia ranks 56th in the world in terms of water per capita per year, and is defined as country with limited or little water resources. In 2011, a survey by Global Water Intelligence said the average global price of water was USD 2.03 per cubic metre—the US average was USD 0.66, while Denmark and Germany were USD 2.25. Compared with these countries, Mongolia's water price is 15 to 100 times lower, because the country lacks the conscience to understand the price and importance of water. The 2011 average in 25 major Chinese cities was USD 0.46. In 2014, China initiated a new policy—an income-based three-tiered pricing structure on water use for households in all cities and some towns—that would see higher income households pay significantly more for water usage than the country's poor. The entire world is encouraging water economisation, by conserving what we have and raising the usage cost. The extra money can be used to increase the quality of water resources and prevent future water shortages. March 24 (infomongolia.com) The Ministry of Education, Culture and Science of Mongolia in association with the City Education Department, Mongolian Students Association and PraxiS LLC are organizing the International Education Fair 2015 at the Blue Sky Tower in Ulaanbaatar on April 10-12, 2015. The exhibition to run between 10:00 am and 05:00 pm at the Sapphire Hall (first floor) of the Tower is aimed to promote the world leading educational standards as well as to introduce to public the educational policy being carried out and to become the bridge between Mongolian high school graduators and institutions overseas. March 24 (Khan Bank) The 13th National Speech Contest of Japanese Language, sponsored by the Khan Bank Foundation for the second year, took place in the Central Building of the Mongolian University of Science and Technology on Saturday on 21st March 2015. On behalf of Khan Bank, a rigorous supporter of education, Mr. Norihiko Kato, Chief Executive Officer of the bank, was invited to join the judging panel. He wished all the participants good luck, awarded the bank's gifts to the best participants and presented the best speaker with a travel voucher to Japan. The contest is organized by the Foreign Language Institution of the Mongolian University of Science and Technology every year, and it has become an established and reputable competition, enabling the youth to challenge their education and intelligence among their peers. Out of 125 students from nine branch schools of five universities who competed in the first round, the TOP Ten students were selected for the second round to make their speeches. Under the topic of "Japan and Me", the participants have prepared fascinating speeches, demonstrating the Mongolian youths' ability to learn foreign languages, and expressing themselves and Mongolia in full. Among the TOP speakers, S.Arnai, junior year student of the Law School of the Mongolian National University, came first and became a proud winner of the travel voucher. S.Arnai spoke of the grief and sufferings faced by Hiroshima City's people during the war, and called for peace in the world. The Khan Bank Foundation made Arnai's dream came true, providing the opportunity to visit historic, cultural and natural places of interest in Japan. March 24 (gogo.mn) "World Circus in Mongolia 2015", which is performed by the best international circus performers, has started from 23th of March and it has jointly organized by "Mongolian Circus Development Center" NGO and "Mongolian National Circus". International A category circus performers from the every corner of the world, will stay in Ulaanbaatar city for only seven days. Over 60 performers, from 12 countries including North Korea, US, UK, Canada, Spain, China, Russia, Ukraine and Vietnam are attending to the show. Show ticket costs MNT 15.000, 20.000 and 30.000 depending on the seat location. Tickets are available at Mongolian National Circus. For more information, please contact to 99253031. "World Circus in Mongolia 2015" is performing at 7pm during working days and 3pm and 7pm during weekends. March 24 (gogo.mn) Enkhrii Urs Khaluun Setgel /Dear Children - Spirit/ NGO is to organize fundraiser concert involving all the pop stars for the 4th maternity hospital. The concert will feature pop stars and comedians and aims to raise MNT 1 billion through four concerts in total. The proceeds of the concert will be directed at the construction of the 4th maternity hospital, which is halted due to the lack of funds. Concert will start on March 27th at UB Palace concert hall and the tickets will be available for MNT 15,000. March 24 (gogo.mn) We reported that the meat price has been stable for a while. Reserve meat protects from increase in price. However, reserve meat has not sold until now and the date is uncertain too. 12.000 tons of reserve meat was supplied for Ulaanbaatar city residents, while 1000 tons of reserve meat was supplied for Darkhan-Uul and Orkhon aimag`s residents. Reserve meat is ready for sale from January annually. However, reserve meat is still not on sale until today. Last winter, four companies were selected for reserving the meat and established agreement with the Ministry of Food and Agriculture, National Emergency Management Agency and Specialized Inspection Authority. Reserve meat is set to cost lower than market price by MNT 1000. According to the agreement, the Government promoting MNT 1000 to per kg of reserve meat in order to protect from increase in meat price. However, the Government cut on that promotion in 2015 and the Government had still not given the remaining subsidies worth of MNT 4.5 billion. That is the reason why reserve meat is still being in storage. Meat reserve companies that have not received the subsidies reported that they will not put on sale reserve meat unless they have money. As a result, meat price is increasing. Meat reserve companies preserved the reserve meat in safe storage and the meat will not decay until July. They will not sale the reserve meat until the Government issues money. They reported that they will not take any responsibility if meat price increases due to reserve meat. On the other hand, they are stuck with bank loan. They are having reserves worth of MNT 40-80 billion of meat and 60% of them is Bank of Mongolia's loan, while 40% of them is commercial bank's loan. Meat reserve companies are ready for sale the reserve meat, if the Government issues remaining MNT 4.5 billion from last year. However, the Government has no cash to issue. Therefore, the Government decided to guarantee a loan to meat reserve companies. Both the Government and meat reserve companies have not reached to official resolution yet. Today, representatives from the Ministry of Food and Agriculture and meat reserve companies are to hold meeting. Ulaanbaatar, March 24 (MONTSAME) The "Internom" bookstore Tuesday announced bestseller books for the last week or March 16-22. The "Alex Ferguson – My autobiography" by Sir Alex Ferguson topped the list of the bestsellers. Translated into Mongolian, the book came third on March 9-15, and it tells about biography of Sir Alex Ferguson, a former manager of the Manchester United FC, and his path to his fame in football world. The book on the top was followed by "Sorkhugtani" by B.Sarantuya about historical life of Sorkhugtani Queen; and "Green Eyed Monk", a book of genre of historical literature about victims of the politically repressed, their families and offspring, by Ts.Oyungerel and J.Folt. These books are followed by the novel "Unbreakable Rose" by B.Erkhembayar; 1 st and 2 nd volumes of the Books "Choibalsan Khorloo"; "Sound of pulse" by a novelist G.Ayurzana; "Lean In: Women, Work and Will to Lead" by Sheryl Sandberg; and book named "Business". A series of gift books by Helen Exley is the tenth. It has various motivational words, quotes about braveness, dynamic life and friendship. March 20 (Daily Post) An intrepid explorer who single-handedly traversed one of the most inhospitable terrains in the world has been crowned National Adventurer of the Year. Ash Dykes, 24, had already won the Welsh Adventurer of the Year title for his 2,000 mile trek across Mongolia, before a public vote earned him the national award at a ceremony in Glasgow. It caps a remarkable year for Ash, who has written a book about his exploits and was speaking at Galeri Caernarfon last night on his Lonely Snow Leopard tour. He said: "I feel humbled to have received the most votes. I would like to say how proud I feel and I didn't expect such support from the public." Ash, of Old Colwyn, was up against 39 other competitors for the national award and a public vote, which started in February and closed on March 1, saw him come out on top. He said: "I was really proud to have won the Welsh award, so when I got called for the national one I was really shocked." Ash received his award from a Mongolian dignitary and was given a traditional Mongol bowl and framed certificate during the bash at the Grand Central Hotel on Wednesday night. The explorer, who revealed he is on the verge of announcing another trip into the unknown, added: "I thought it was really appropriate as I had walked across his country. "I have got another five tour dates to go then it's all preparation for my next world first adventure. It's something no one has done before and we will reveal it within the next two weeks." He has promised the Daily Post we can bring you news of this as soon as it is ready for release – and he promises us it will be something really special.